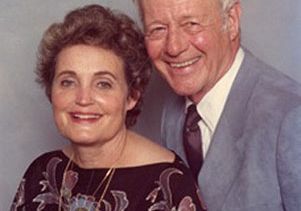 A $2.15 million bequest from the estate of UCLA alumna and longtime supporter Mary Lou Steinmetz will provide scholarships for undergraduates and fellowships for graduate students, including the veteran community she and her family cherished. The gift, from the Steinmetz Charitable Remainder Unitrust, follows Steinmetz’s passing in June 2018. Steinmetz met her husband, Bill, when the two were UCLA students. Bill served as a flight instructor in World War II and used his GI Bill benefits to complete a business degree at UCLA. The couple were passionate about helping UCLA students who had served in the military, a commitment they handed down to their children, Charlie, Ann and Jeanie. After Bill’s death in 2013, the family donated $1 million to veteran scholarships and programs. Through the 2017–18 academic year, that gift had provided more than $150,000 in scholarships for 27 students. It also has supported veteran-specific employment services, community-building events, outreach to local veterans and health and wellness services for veterans. Those programs and scholarships foster a supportive community for UCLA’s more than 200 student veterans. The Steinmetz family’s investments have bolstered UCLA’s broader commitment to veterans, which includes personalized support services for student veterans through the Veteran Resource Center; UCLA Operation Mend, which provides free surgical, medical and psychological support for post-9/11 service members, veterans and their families; partnerships with the Veterans Affairs Greater Los Angeles Healthcare System that provide legal services and health care; and many other programs. 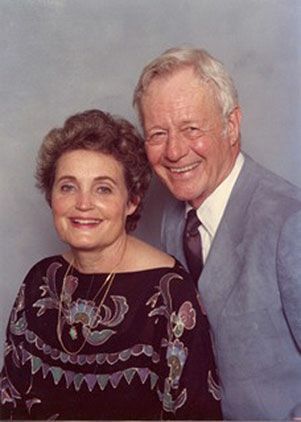 Married for 63 years, the Steinmetzes left an extensive charitable legacy through their volunteering and their support of UCLA and organizations across Southern California. A salesman and entrepreneur, Bill owned a manufacturers’ representative company before joining Tiernay Metals as executive vice president. He bought the company in the late 1960s and built it into a leading metals distribution business before selling it in 1999. The bequest is part of the Centennial Campaign for UCLA, which is scheduled to conclude in December 2019 during UCLA’s 100th anniversary year.